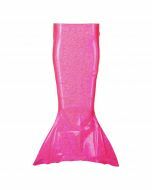 Now girls can dress up their 18” doll in a shiny, sparkly pink mermaid tail and top! 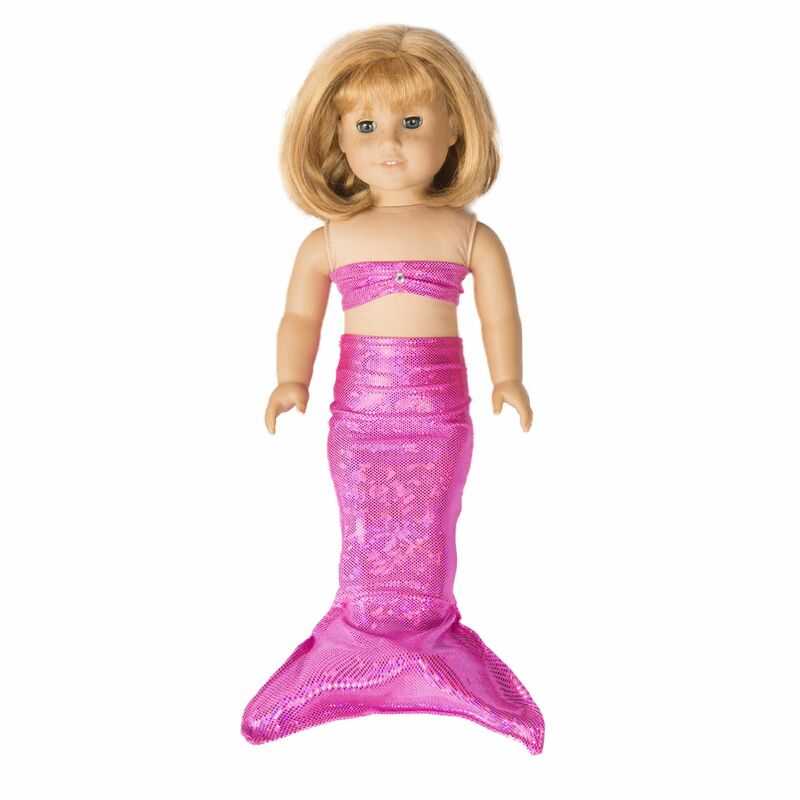 In a bright pink iridescent design, this shimmery set is the perfect addition to your child’s doll clothing collection. 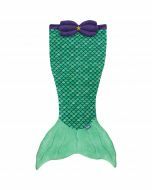 This set matches our Passion Pink Sparkle Mermaid Tail. Doll not included. In bright shimmery hot pink, this doll tail and top set makes the perfect matching doll accessory for your mermaid lover. 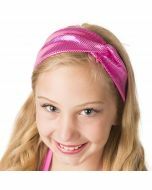 Doll top includes accent jewel for extra sparkle! Fits large dolls (approximately 18”).